New Custom Fields are created within QuickBooks. Newly created Custom Fields are not visible. Now Link the Same Table (In this example its Customer Table). After linking the table, you will get Updated Custom Field. I am trying to use QODBC to read a vendor custom field named "Territory". 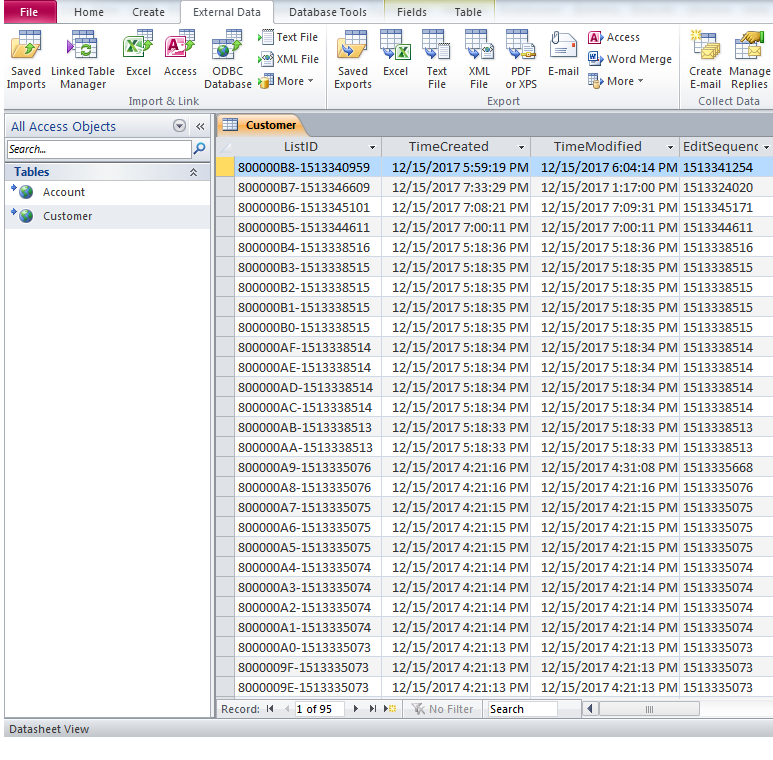 From VB Demo, running "sp_columns vendor" produces a list of column data, but my custom fields don't appear to be there? I have already reset the server and connection between QODBC & QuickBooks. But still, I am unable to get Custom Field. 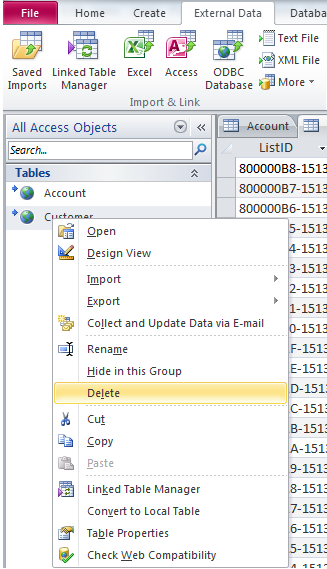 We can not find data in the CustomField table although we have many created. You can find CustomField in the table which you have assigned it. For Example: If you have assigned CustomField in Customer, Vendor, Employee table, then You can find it from Customer, Vendor, Employee. If you have assigned CustomField in transaction entity like (Invoice, Bill), then you can find it from Invoice, InvoiceLine, Bill, BillItemLine, BillExpenseLine tables. Please Note: You need to Disconnect the connection between QODBC & QuickBooks and Reconnect to get Custom Field. Custom Field will display in QODBC after resetting the connection. Normally, You can get Custom Field using QODBC by reset connection between QODBC & QuickBooks. Custom Field will display in QODBC after Disconnect all the connections and connect again. If you are still not getting Custom Field even after All the connection between QODBC & QuickBooks are disconnected, Restarted Machine. So you need to reset Custom Fields from QuickBooks UI. You need to remove the names of each custom field and unchecking where used, then reapplied the information and test again.